Panasonic is a renowned name among the photography lovers as it owns a range of impressive devices packed with high-end features. The year 2017 seems to be great for the Panasonic lovers as the company offers cameras as well as camcorders to suit everyone’s need. From full featured professional devices to easy to use cameras for the beginners, Panasonic is there to serve all. Here we will round up the most popular Panasonic cameras and camcorders in 2017 as below. Convert Panasonic camera video to over 1000 formats, like AVI, MKV, MOV, MP4, etc. Convert Panasonic camera video to optimized preset for almost all of the devices. Comes packed with One inch, 20MP sensor that allows capturing brighter and colorful images. Featured 3 X (24-72mm) F/1.4-2.8 LECIA DC VARIO-SUMMILUX optical zoom lens coupled with F/1.4-2.8 aperture. 3 inches of big touch monitor that can tilt 180 degree. Support 4K Ultra HD video recording along with LUMIX 4K PHOTO. 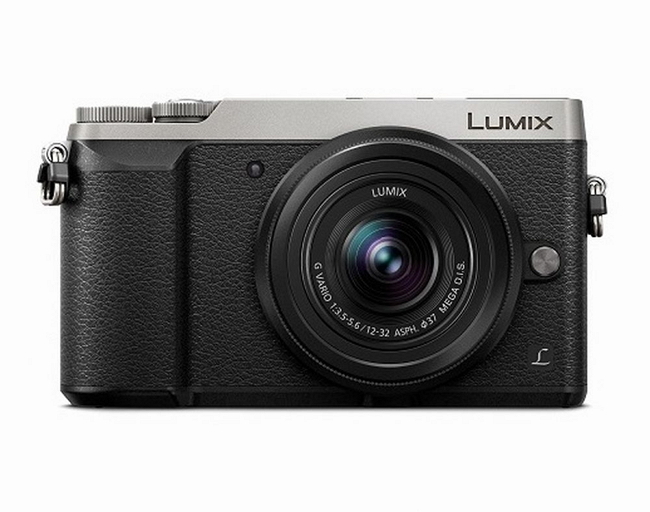 Panasonic LUMIX DMC-LX10K is one of the latest additions to the point and shoot a range of Panasonic Camera. The high-end features of the camera offer DSLR like exposure as well as colors to your images. 4K sharp images, as well as recording, are supported by the model, thanks to its 1”, 20 MP MOS senor that is coupled with Venus Engine. The LECIA DC VARIO –SUMMILUX lens of the camera facilitates capturing bright images, even in low light conditions. Features 20.3 MP Micro Four Thirds sensor. Comes packed with LECIA DG VARIO-ELMARIT 12-60mm F2.8-4.0 Lens. 3.2 inches vari-angle display and 1,620,000 dots. Facilitates internal recording at 4K60/50p and 4k30/25P/24P. 5-Axis photo/video Dual IS.2.0 up to 5 stops with compatible LUMIX MFT lenses. 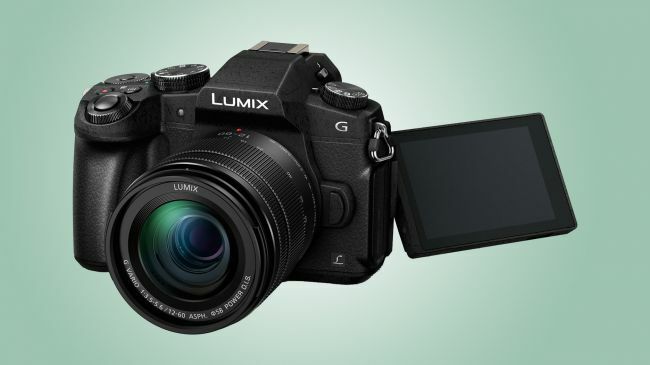 Panasonic Lumix GH5 is a mirrorless camera that supports DCI 4K and UHD 4K. The fully articulating screen of the camera makes it easy to view and capture images. It supports maximum continuous shooting speed of 12fps and offers color subsampling at 4:2:2 with 10-bit color depth. Using HDMI, the device is capable of offering live output to the external recorder like Apple ProRes along with the internal recording. 16MP MFT sensor that improves fine details. Features 4K video recording at 30p/24p 100 Mbps. More than 27 options of interchangeable lens. Rugged device that is weather sealed splash proof and dustproof. Its Dual IS Mark II is very effective. 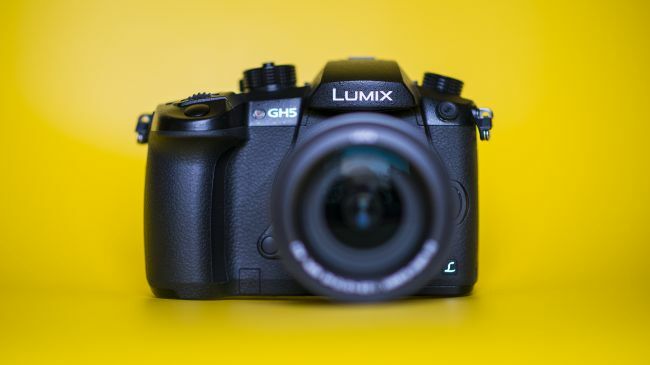 Panasonic Lumix G80 which is known by the name of G85 in the US is a popular mirrorless camera by Panasonic that has latest features and specifications. As compared to a DSLR, it is compact in size, and less bulky. The Dual IS Mark II system allows enjoying the body as well as lensing image stabilization. Additional features of the device include Panasonic’s clever Live Cropping feature, over 27 options of interchangeable lens, 3 unique 4K Ultra HD video pause, 4K photo modes, 3.5mm port for external microphones. 16MP mirrorless interchangeable lens camera. 5-axis in-body sensor stabilizer that works with LUMIX 2-axis optically stabilized lenses. 3 inches of tilting touch LCD with thumbwheel controls and integrated viewfinder. Support 4K imaging performance in 4K videos 4K PHOTO and Post Focus. Panasonic LUMIX GX85 is a mirrorless ILC camera that comes knitted with impressive AF and can capture good quality images in low light conditions. The DSLR like controls of the device in addition to features like electronic eye finder and touch LCD tilt display gives better control while shooting. The camera features 16MP Digital Live MOS sensor which coupled with Venus Engine allows capturing bright images with minimum noise. The camera can be used for creative purpose with 27 options of the interchangeable lens. 18.1 MP sensor resolution devices with 4K PHOTO and 4K video capture performance option. Comes packed with optically stabilized 20-1200mm LUMIX DC VARIO lens for long zoom. LUMIX DFD focusing system for quick and accurate focusing. Allows connecting to mobile device through WiFi connection. 1170k dot viewfinder, with high resolution and touch LCD display of 3 inches. 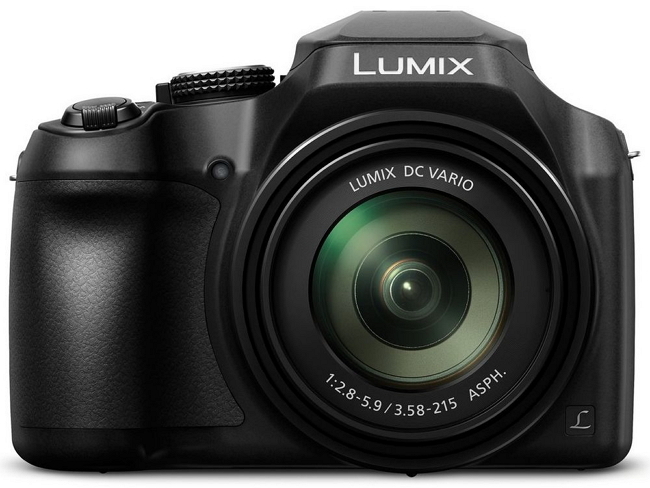 Panasonic DC-FZ80K is a point-and –shoot camera that is capable of capturing good quality 4K images and videos. The 20-1200mm 60X LUMIX DC VARIO optical zoom lens of the camera makes it a perfect choice for the users who need to take images from a distance. The Post Focus feature of the camera allows setting desired focus point after capturing photos. The camera comes with an ergonomic grip that fits perfectly in your hands. 20x optical zoom with 4-drive lens system. Support HDR video capture and Full HD 1080p slow motion video recording. To suppress the noise, the model features Back Side Illumination (BSI) sensor. Allows to connect the smartphone video camera wirelessly to have perfect video effect. 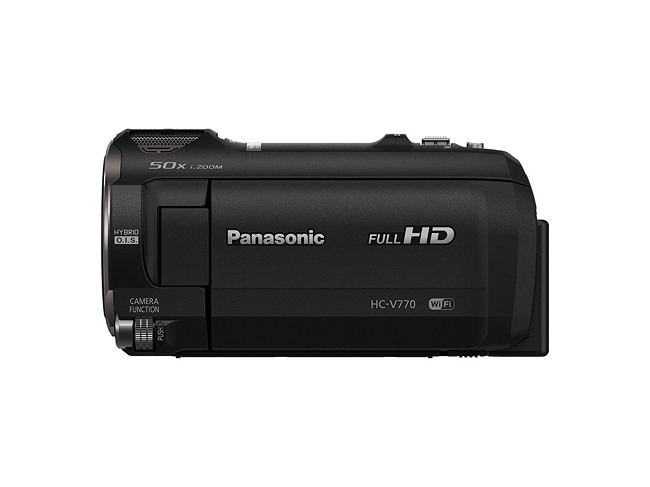 Panasonic HC-V770 is a perfect Panasonic camcorder that has everything which you need record impressive videos. The camcorder is easy to use, has good design, and is a value for money. With its 20x long zoom, recording distant activity is clear and bright with the model. Sound recording is decent and its array of effects and filters gives you the freedom to explore your creativeness. For connectivity, WiFi and NFC features come knitted with the camcorder so that you can connect your smartphone and broadcast the recording in real time. You can even control your camera from your smartphone. LECIA Decoma Lens with 20x optical zoom and 5-ais Hybrid Optical Image Stabilization. Features 4K Ultra HD recording. 4K Cinema in-camera editing and effects in addition to in-camera editing for 1080p displays. Built-in Twin camera and WiFi mobile features. Electronic Viewfinder for semi professional experience. 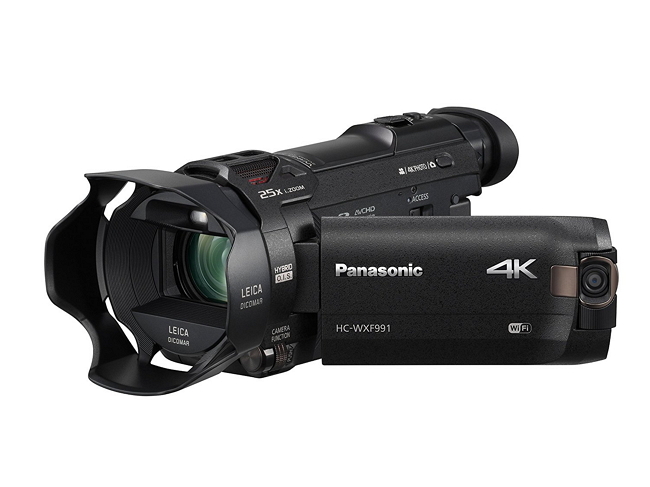 Panasonic HC-WXF991K is a high end camcorder that comes loaded with 20x optical zoom that allows recording 4K Ultra HD videos. In terms of connectivity, WiFi is supported by the model. Additional features include hybrid optical image stabilization, zoom and cropping effects, in-camera dolly, electronic viewfinder, 4K PHOTO, HDR range mode, and others. Comes with 20X Leica Lens with lens mounted control rings. Features built-in XLR Professional Audio terminal. Support 4K Ultra HD recording in 24p Cinema or 60p quality. Support high Bit Rate quality. Good quality night scenes can be recorded. 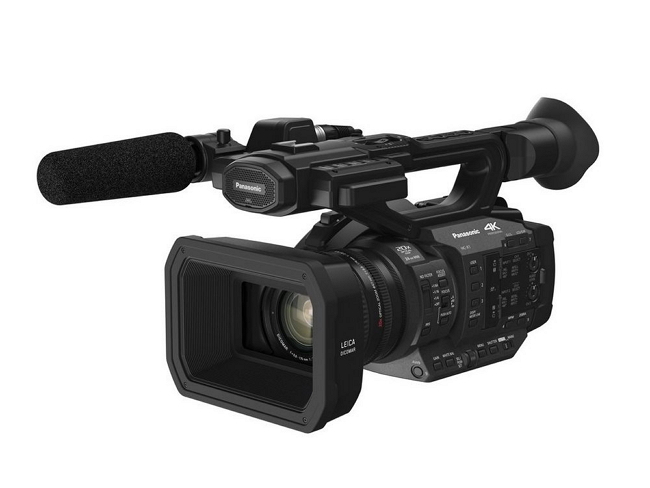 This Panasonic video camera is a good option for the videography lovers as the model supports features needed for professional recording. Impressive night scenes can be recorded using the model, thanks to its 20X Leica lens and built in XLR audio. If needed, lens can also be adjusted manually. The camcorder supports 4K, Cinema 4K and Full-HD recording with 30p, 60p, and 24p frame rates. The model supports an array of formats which makes it perfect for many different applications. In terms of connectivity, it supports WiFi and NFC with remote shooting, easy QR Code connection, and one touch NFC connection. 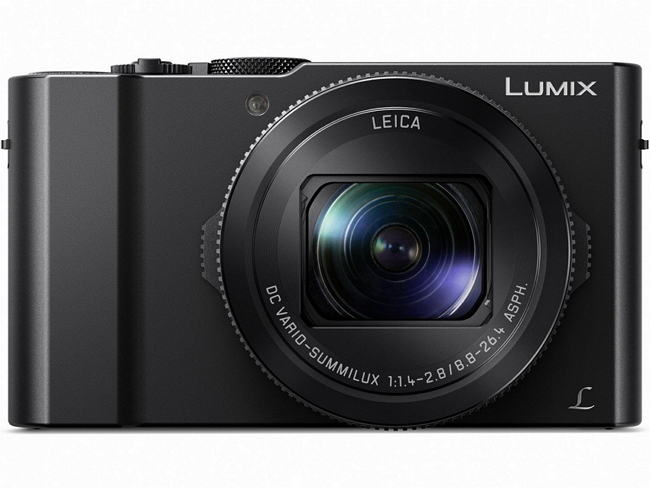 Features LEICA DICOMAR 4K lens 24mm with 20x optical zoom. Advanced Optical Image Stabilizer with 5 Axis Hybrid O.I.S. Allows VFR – 2 to 60fps /HD Super Slow Motion recording with 120/100fps. Support 4K, UHD and FHD recording. 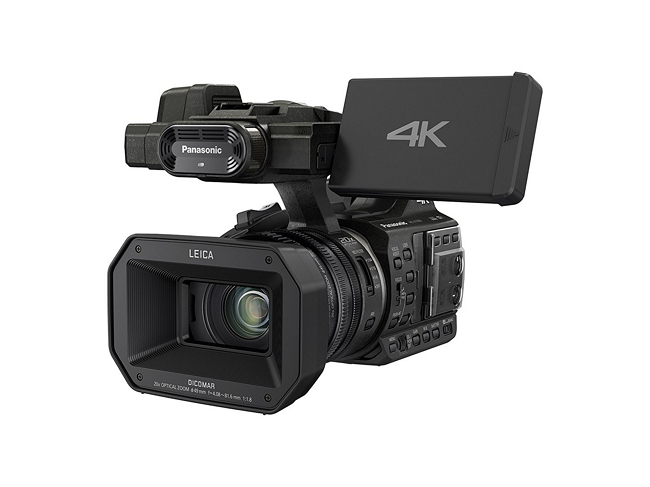 This Panasonic 4k camera is an impressive model by the company that supports professional recording features like 4K 24p, FHD 60p/50p. UHD 60p/50p, HD super slow motion, multi format recording, and others. The LEICA DICOMAR 24mm lens of the camcorder allows recording in tight spaces. It comes packed with 4-Drive Lens system that helps in driving 4 lens groups. Additional features include 4K 1 inch MOS sensor, intelligent AF, dual SD memory card slots, allows wireless remote control from iPad, triple manual rings, 2 channel XLR Audio Input Terminal, high resolution OLED EVF, 3.5 inch touch LCD, , UHD/FHD Dual codec recording, and others. LEICA Decoma 20x optical zoom lens with 5-Axis Hybrid Optical Image Stabilization. Facilitates 4K Ultra HD recording with in-camera editing for 1080p displays. Support 4K PHOTO features for capturing high-quality images from 4K frames. Features High Dynamic Range mode for reducing high contrast look. Support 4K in-camera post panning, cropping, and zooming. This Panasonic HD camcorder is a perfect choice for recording 4K videos in the most simple way. The model features LEICA Decoma 20x optical zoom with in-camera solutions for editing that eliminates any need for third party editing software. The model allows creating multi-camera scene picture-in-picture recording by adding WiFi link to the mobile camera. The model supports advanced BSI sensor that is supported by 4K Crystal Engine that continuously reduces distortion. So if you wish to capture your special moments or record some dazzling videos, picking up one of the best suited Panasonic cameras or Panasonic HD video cameras listed above and let your special moments live forever.